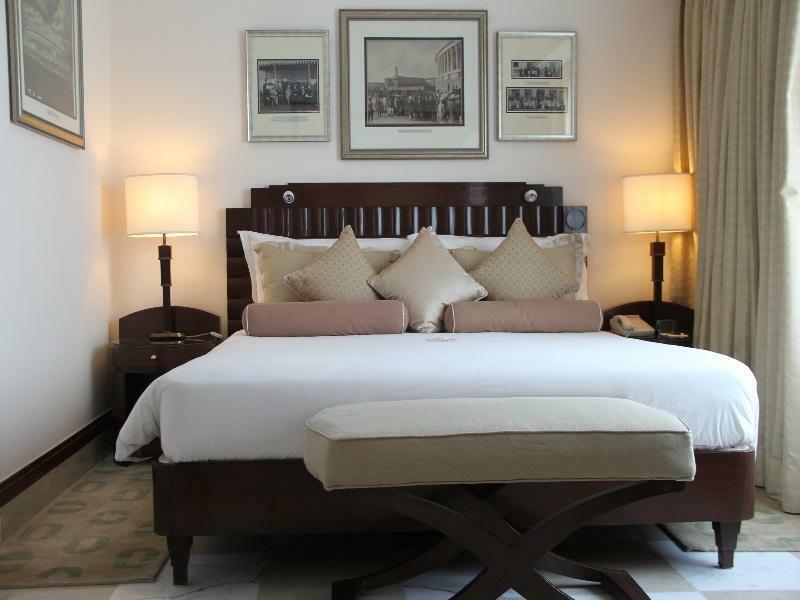 The Imperial is a super stylish and comfortable hotel with superb staff. We were upgraded to an Art Deco suite as soon as they realised it was my husband's birthday. Flowers and a delicious chocolate cake followed, all delivered by beautifully mannered and uniformed staff. 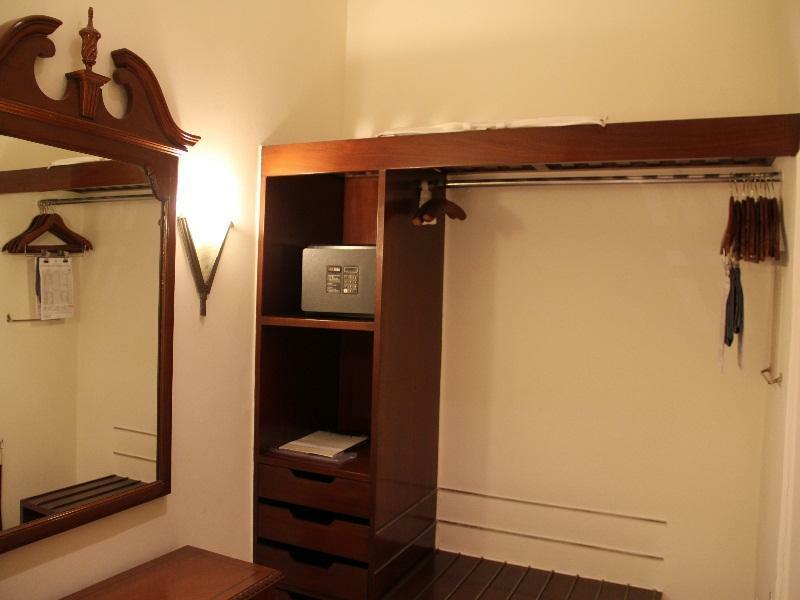 The suite was extremely spacious, light and elegantly decorated. The pool area is beautiful, again with staff immediately on hand with towels and bottles of water. The spa is great with complimentary use of hydrotherapy, steam room and sauna. Breakfast was literally a wall to wall feast served in the beautiful 1991 Brasserie with everything you could possibly want, including a 'doggie bag' if you fancied taking out some of the yummy cakes you couldn't quite manage to eat! We were slightly disappointed with the food in the evening at Daniell's Tavern. It was our last night and we wanted a special Indian meal, but somehow the vegetarian thali lacked some of the depth of spices we had encountered elsewhere. Booked four rooms for two nights. Two rooms were smoking rooms despite requests for non-smoking one of which had no hot water. A third room had sanitation "difficulties" and we all experienced small, niggly things - like continuous failing of the door access cards - which should not happen in Delhi's best hotel. It didn't happen at the JW Marriott at the airport and it shouldn't happen at The Imperial. It was my second visit of the trip and I was welcomed back and upgraded.. which is always lovely.. they remembered me and asked how my adventures had gone. Everything was seamless and to perfection.. Breakfast deserves a particular mention.. exceptional selection and some of it even healthy.. the cinnamon swirls are a triumph. Lovely hotel. Elegant building, helpful staff, calm environment, convenient location. Expensive, but worth it if you have the money. This is the second time I have stayed in the Imperial and it is well worth the money. This hotel oozes history - it is where Nehru used to meet Gandhi to talk about India's independence. The rooms are superb, breakfast amazing, and nothing is too much trouble for the staff. Love this place! For the fifth time we've enjoyed the amazing hospitality of this facility! It has become rare that hotels are able to uphold the high standards - nevertheless the Imperial always feels just like home. We've enjoyed our two nights like the first time. The close proximity to the Connaught Place (only 10 mins away by foot) with the small restaurants between the white pillars of the recently renovated arcades is amazing. It was also very kind that we could stay in the hotel until 3pm on the last day of our stay since we had our flights at midnight. The hotel's own paid driver to the airport made the experience perfect. We can also recommend the restaurant within the hotel called "Spice Route". The thai curries are extremely tasty. After a long time the WiFi access is now also included. For years we consider this hotel the best in Delhi which it will remain - especially after our interesting discussion with the Assistant Sales Manager Divan Ghai. We are looking forward for our next stay. My three days ok but I RESENT their dated approach to wifi. I paid around 240 on Agoda for my room per night and was shocked that all wifi has to be separately and expensively purchased. Perhaps this makes them 4 star? Breakfast was. O more than ok, although their freshly baked baguette was very good. Service at breakfast needs better supervision. Lots of men in finery, but they do not seem to focus on guests. I would not choose the Imperial again. Very pleasant stay at the Imperial this time around (despite ongoing construction at the entrance, in Feb. 2014). 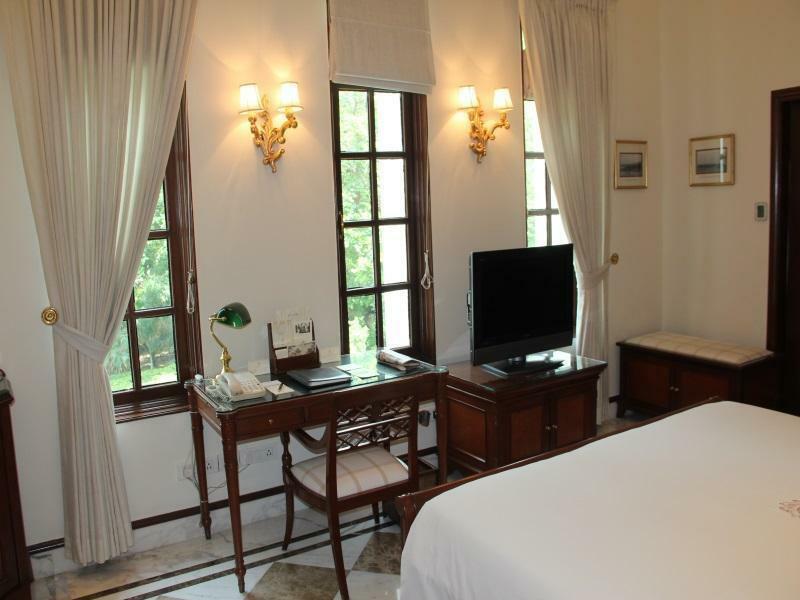 The historic buildings and colonial era feel are omnipresent, supported by helpful and courteous staff. Restaurants are delicious, if - like so much in Delhi these days - costs are high. This is a wonderful hotel. It was built in the early 1900's while India was still a colony of the British. I have stayed in several hotels built in this era but the Imperial is second to none. The ambiance was fantastic. 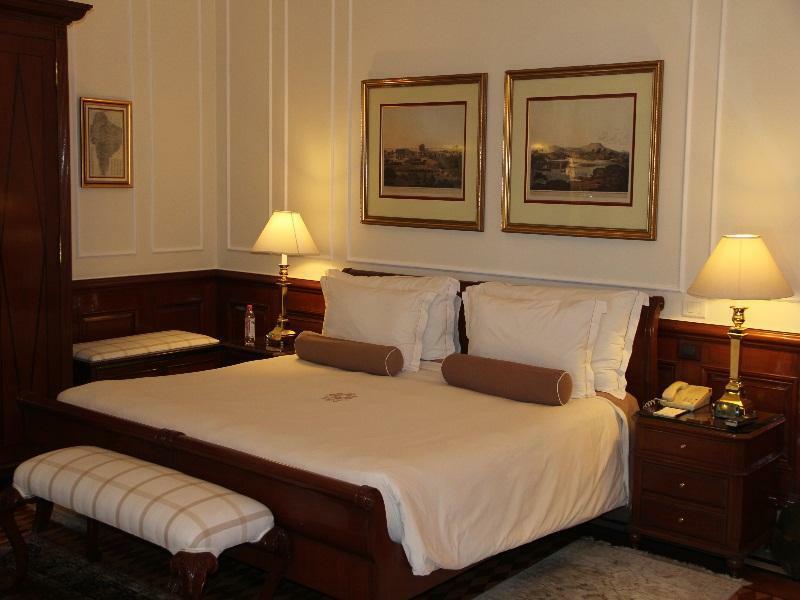 There were many reminders of the British Raj era but all the facilities were very modern and luxurious. In fact I did not see any defects in the facility or the service. It was a wonderful experience. The staff was very attentive and friendly. I would highly recommend this hotel and my only regret is that I was only able to stay there for one night. 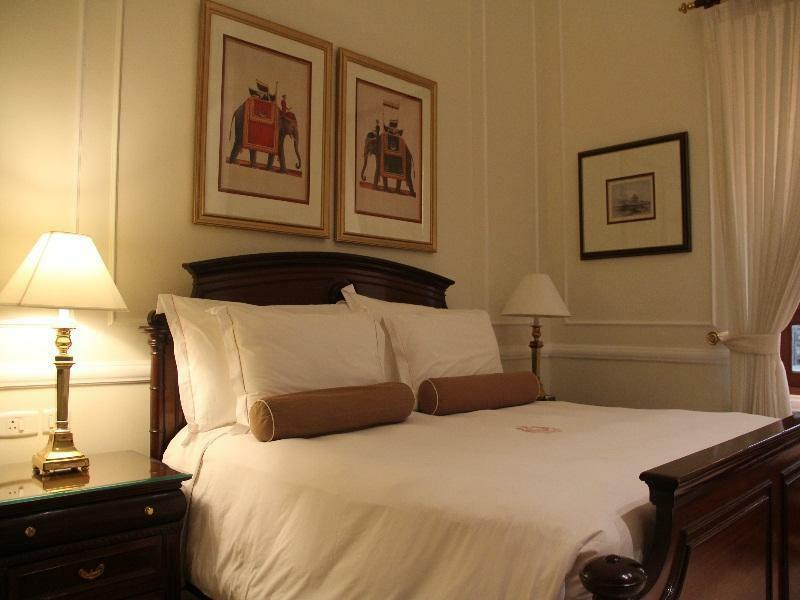 The Imperial is beautiful, luxurious and simply amazing. Every detail is thought through here with the utmost care given to customer comfort. It's like the staff takes you in with a warm hug and treats you with genuine warmth and care. Hands down, the best hotel to stay at in Delhi. And the location is amazing, so close to many sights and lots of great shopping. Delhi traffic can be horrendous so you save a lot of time not stuck in a cab. This is now my third time staying here and hope to be back soon. Gorgeous hotel. Lovely staff, beautiful rooms, and we loved using the spa. The breakfast was fantastic as well. Highly recommend!! Safety checks were extensive, but made you feel safe and comfortable. Staff were friendly and on point. We were happy to have a wonderful upgrade given it was our first travel after being married (honeymoon), with a chocolate cake in the room to congratulate! Spice Route was some of the best food we have had in India. Lovely high tea! Highly recommended to escape the hustle of Delhi. Well located in Old Delhi's Connaught Circle; numerous shops in surrounding area; excellent restaurants and bars in the hotel. Staff very helpful, for example rail tickets, tourist sites, etc. There are less expensive hotels in the area, but Imperial is worth the added costs because of its overall ambience, décor, and service. สถานีรถไฟใต้ดิน Janpath - ระยะ 0.14 กม.